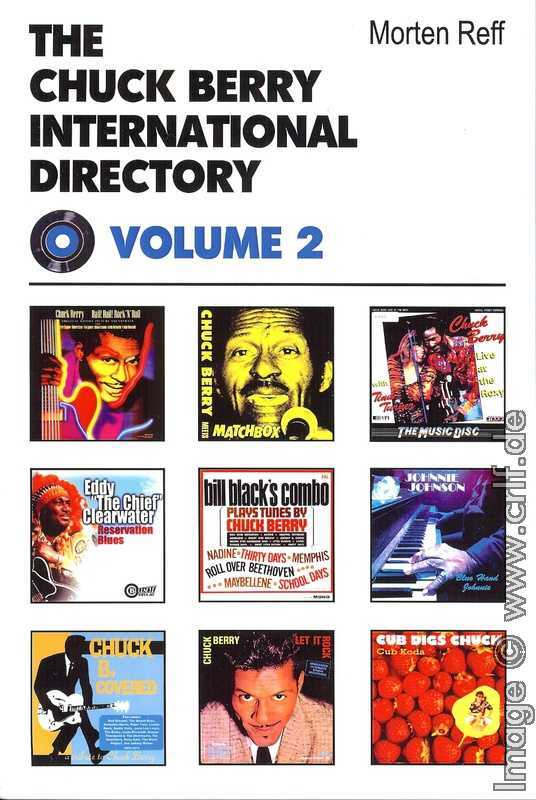 Six weeks ago I told you about the release of the second volume of Morten Reff's Chuck Berry International Directory. I promised to tell more as soon as I read it. It took a bit more than expected to fulfill this promise. First it took some days for the book to get to my mailbox (Thanks, Morten! ), then it took a long time to read through it. Why did it take that long? Not because the contents is boring, it's because there is so much contents in it. Volume 1 already had some 500 pages full of descriptions of Chuck Berry's official records published in the U.S.A., in England, and everywhere else. Now Volume 2 adds another 500 pages, this time containing much more text and much more detailed information about everything else beside the commercial records. Morten describes (and often shows) all known bootlegs either completely dedicated to Chuck Berry or containing rare, usually otherwise unavailable performances. Even if you have read all of the contents of this site, you will certainly find items you don't about. You probably know the films Berry appeared in, or maybe not. But here you not only get a complete listing but also learn about video cassettes and DVD releases, promotional records and much more. Also included is a description of non-Berry movies containing his songs in the soundtrack. During the last 50 years, Berry appeared on TV all over the world. Appearances range from concert footage over playback to interviews. Trying to get a complete list of all this appearances is probably an impossible task, but Morten found out about some 150 of them, all described in detail here. Despite this chapter's title, Morten does not list all radio shows Berry music ever appeared on. This would be ridiculous. Instead this chapter lists records and CDs produced exclusively for radio stations. You'll find most of the contents in the chapter on Radio and Promotional Records on this site as well, but not all of it, of course. As with all other records listed, Morten Reff additionally analyzes every record and critically comments each. 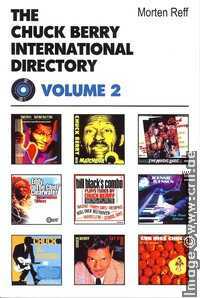 As with the records, here's a complete annotated list of all known video and DVD releases covering Chuck Berry. This chapter could have been omitted in my opinion, but if you want a reference when and where it was that you saw Chuck Berry, here it is - with date, exact location and backing musicians (if available). Missing are Berry's concerts in North America, though. Chuck Berry Number 1 in Billboard in 1972. Ok, you can read this in many places. But here you get Berry's chart positions worldwide, from Brisbane Radio to a Belgian magazine. And then there's the Golden Records, his songwriter awards and all other honors. Books about Chuck Berry, books with larger chapters on Chuck Berry, songbooks, magazine articles - 70 pages alone not only with bibliographical data but also comments, recommendations and warnings. Maybe half of this book's contents you could find somewhere else if you look hard enough and spend many months searching. The other half I have seen here for the first time. Great job! Everything Morten writes is well researched and easy to read. I tried hard to spot errors and omissions, but failed to find any other than a few minor things. Along with Volume 1 this is and will be the definitive guide to Chuck Berry's commercial output for many years from now. Highly recommended. Get your copy immediately! You'll find it in these Internet shops or maybe at your local book store. And once you have it, you will find that you bought three books in one. Besides all the Chuck Berry contents listed above, there are two additional chapters on pianist Johnnie Johnson and guitarist Eddy Clearwater respectively. Each is again a complete discography of records, videos and movies. Also included is a complete sessionography each, i.e. a list of all recording sessions with personnel, location, and songs. Such a sessionography is omitted from the Chuck Berry part of this book as Fred Rothwell already wrote it in a separate book called Long Distance Information. These two chapters could have been individual books of a hundred pages each. So by buying the Chuck Berry book, you get two additional books for free. How opinions can differ. The "International Tours"-chapter is in my opinion the best part of the book. Overall it is a very good book.